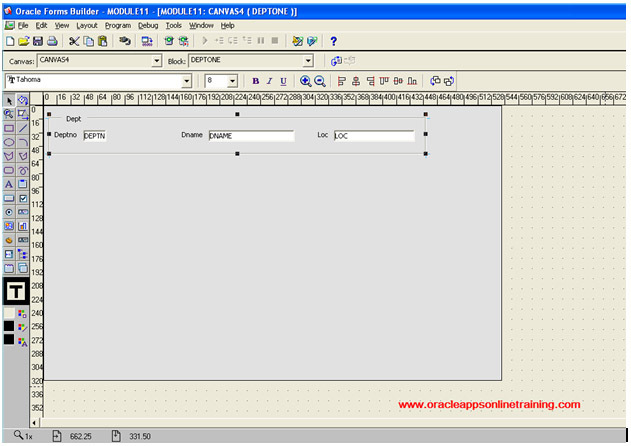 Relation between blocks can be established, without having constraints at database level. 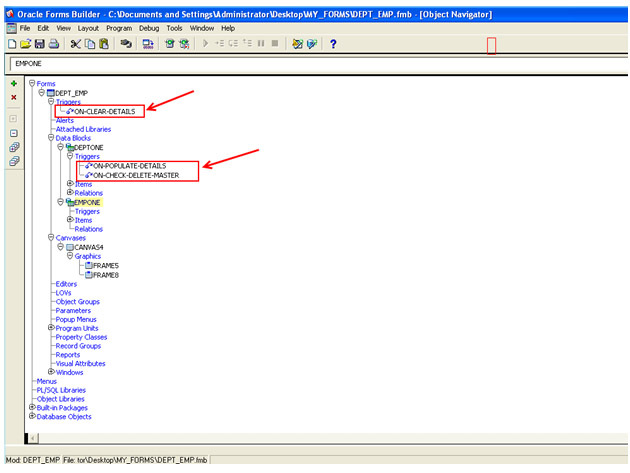 Create two tables ( empone, deptone ) in the database. There are no constraints in deptone and empone tables. 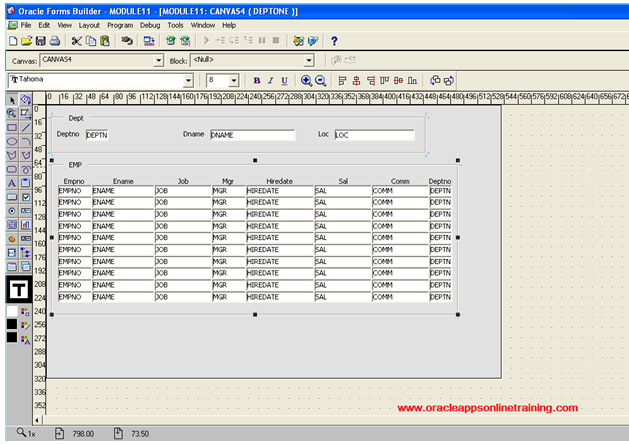 This time create data block using table empone. Master block contains deptno 10 Information. Child block also displays the details of employees working for deptno 10. 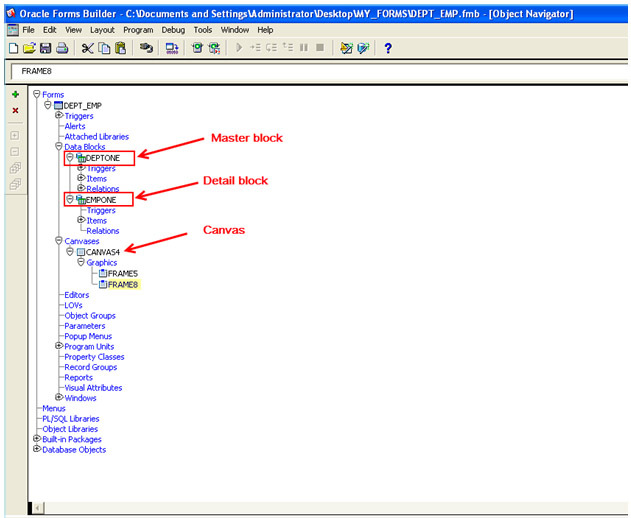 Master block contains deptno 20 Information. Child block also displays the details of employees working for deptno 20. Observe, we have established relation between master block and detail block. You can see both the blocks ( master block and detail block ). Both the blocks are place in only one canvas i.e. ( CANAVS4 ). Please look at the screen shot. When we establish Master-detail relationship between two blocks, the following triggers are created. It is form level trigger. When we clear the master record, the corresponding child records are cleared automatically. Look at the following screen shot. Deptno 10 record is cleared, and corresponding child records are also deleted automatically. It is a block level trigger. 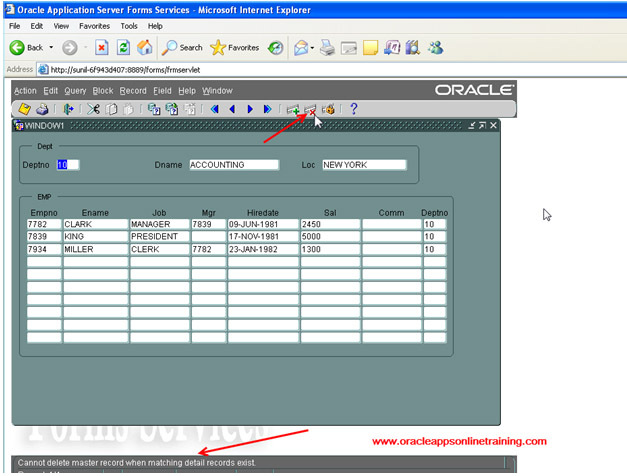 Retrieves child record automatically, whenever the master( parent ) row is retrieved on to the screen. It will not allow to remove parent row when depending child row exists. 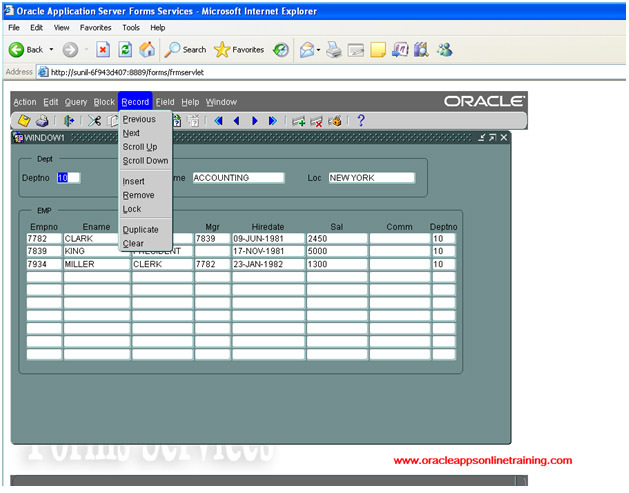 Keep the cursor in the master block, click on delete button, observe that message in the bottom of the form. 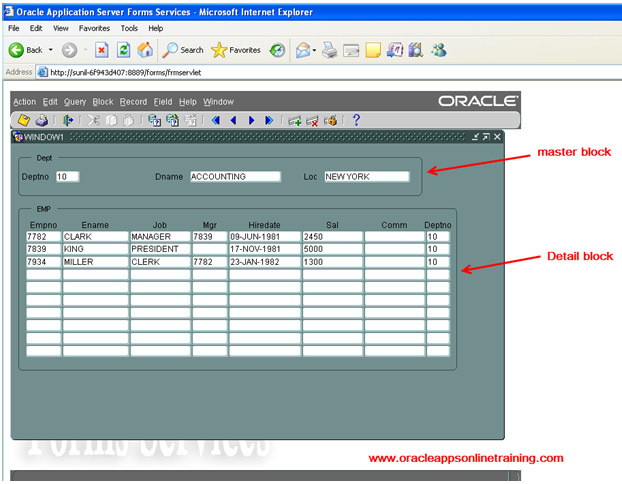 Cannot delete master record when matching detail records exist.